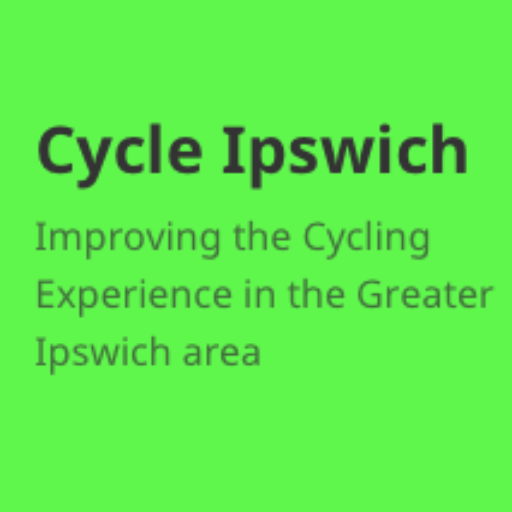 Greater Ipswich is the perfect size, location, geography and climate to become a truly cycling-friendly town. We aspire to be the most cycle friendly town within the country. The creation of a comprehensive network of radial and orbital routes, either segregated or giving cyclists clear priority, and properly maintained, swept and gritted. New developments must include provision for high quality pedestrian and cycle infrastructure within the development and suitable connections with the existing network. New infrastructure should be designed in accordance with design standards such as those in Cyclenation’s Making Space for Cycling document or the 2014 edition of London Cycling Design Standards to create an attractive option for all those who wish to cycle irrespective of age or ability and including cargo bikes, tricycles, adapted bikes and mobility scooters. Residential and school areas must be made safe for families through properly enforced 20mph speed limits, and the removal of rat runs and through motor traffic. The Councils must commit to targets to increase the number of children walking and cycling to school, and actively lead in achieving these. Measures to allow walking and cycling to school should include making nearby roads more cycle and pedestrian friendly if required. Highways and Transportation policy must put into practice the Councils’ stated strategies on prioritising walking and cycling. This must include using existing road space for protected cycling space rather than mixing cyclists and pedestrians on shared pavements. Ipswich town centre must continue to be made more convenient for walking and cycling, building on the improvements achieved by the Councils to date. This will include provision of convenient secure cycle parking, and safe convenient routes into and through the centre of the town. Integration between cycle routes and rail, bus, ferry and other public transport links must be a priority so that commuters, residents and visitors are able to easily and safely complete their journeys using sustainable forms of transport. Suffolk Police and the councils must use their powers effectively to address dangerous, antisocial vehicle use, and parking. We are looking for organisations to be listed below as supporters of the aims in the above manifesto.